Rome/Geneva, 27 March 2017 —The international medical humanitarian organisation Médecins Sans Frontières (MSF) has today filed a patent challenge on the hepatitis C drug sofosbuvir with the European Patent Office (EPO) in an effort to increase access to affordable hepatitis C treatment. 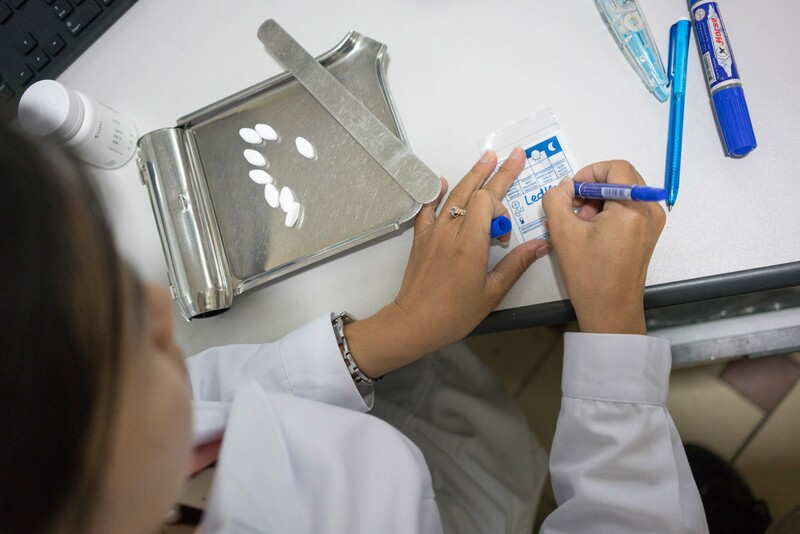 MSF has joined Médecins du Monde (MdM) and other civil society organisations from 17 countries in simultaneously filing patent challenges on the pharmaceutical corporation Gilead’s monopoly on sofosbuvir, in a bid to remove the barriers that prevent millions of people receiving treatment. 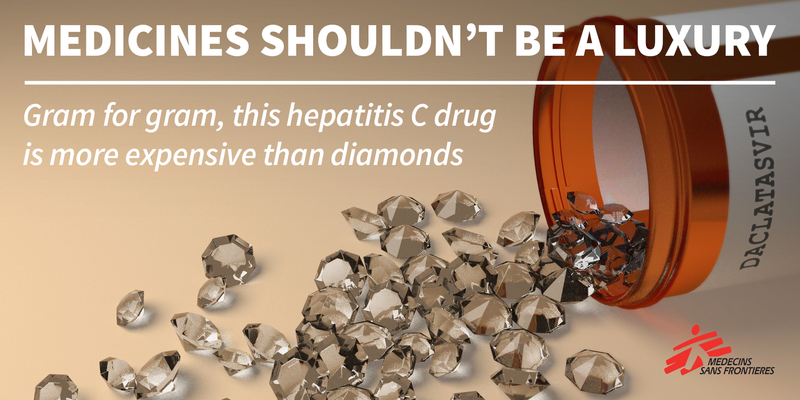 Sofosbuvir forms the backbone of most hepatitis C combination treatments for people, one of a range of oral ‘direct-acting antivirals’ to come to market within the last four years that has caused cure rates to skyrocket. 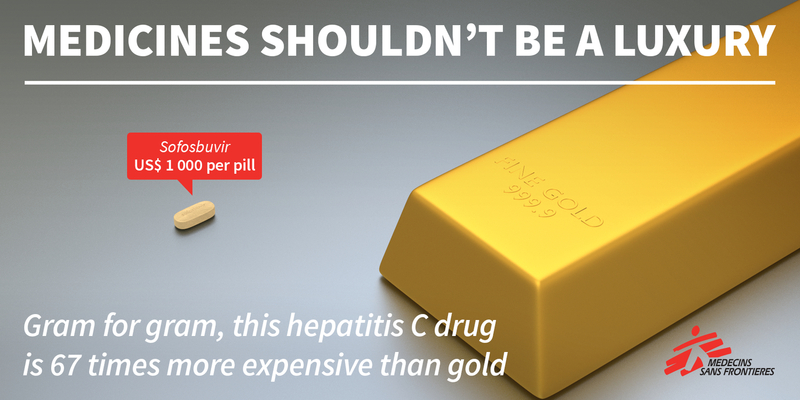 In Europe, Gilead charges as much as US$59,000 per 12-week sofosbuvir treatment (€55,000) – in the United States, Gilead initially set the price at $84,000, or a staggering $1,000 per pill. Meanwhile, studies have shown that it costs less than $1 per pill to produce the drug. 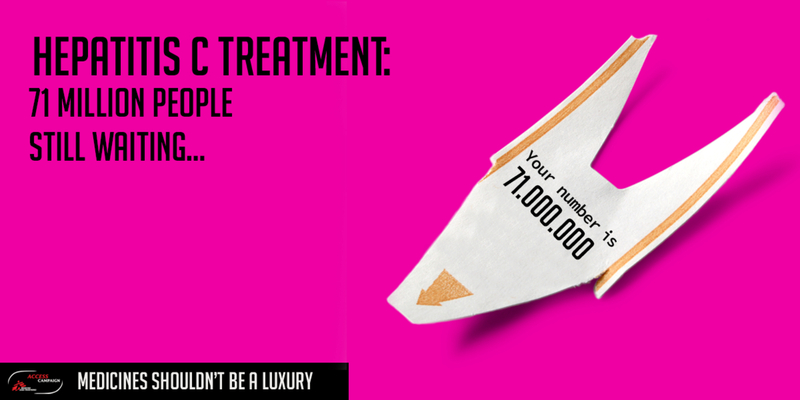 Access to affordable medicines has become a global challenge. Countries where Gilead retains monopoly control over sofosbuvir cannot import or produce generic versions; for many people living in some middle-income countries, Gilead’s restrictive voluntary licensing agreements still keep sofosbuvir out of reach for people and their governments. Patent challenges – or patent oppositions – can remove or shorten the length of a patent and enable the robust generic competition needed to dramatically reduce prices. Key patents on sofosbuvir have already been revoked in China and Ukraine, and decisions are pending in other countries, including Argentina, India, Brazil, Russia and Thailand. If the patent challenge is successful, it could accelerate the availability of affordable generic versions of sofosbuvir in Europe. It would also encourage all countries to take measures to open up access to affordable generic versions of sofosbuvir by either negotiating better deals with Gilead right now, and/or taking actions including issuing compulsory licences to import or manufacture more affordable generics.